the UC Ellsworth Lot (hourly, $15 max). While street parking is also available in the surrounding area, we advise parking in the lots due to the concurrent Cal move-in day. 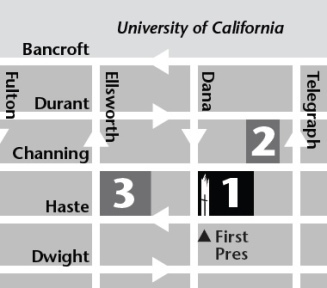 First Pres is also a 15 minute walk from the downtown Berkeley BART station.